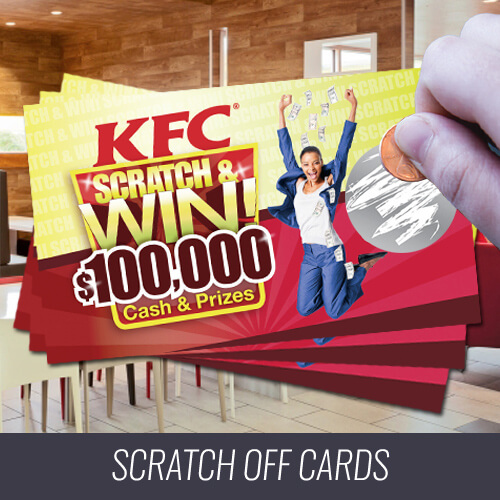 Scratch Cards are an interactive print promotion proven to maximize offer redemption rates. 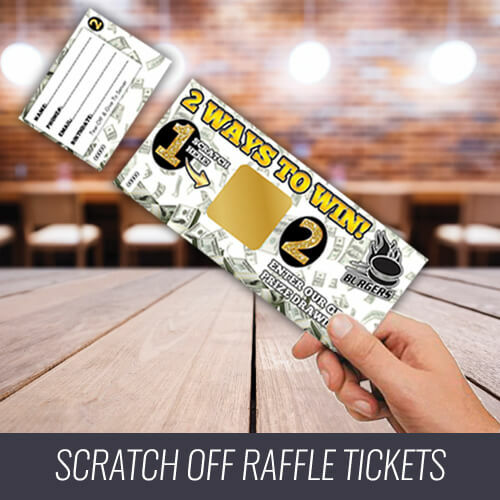 If you’re looking to generate more sales and revenue from your next promotion, consider distributing custom-printed scratch off cards or scratch off tickets! 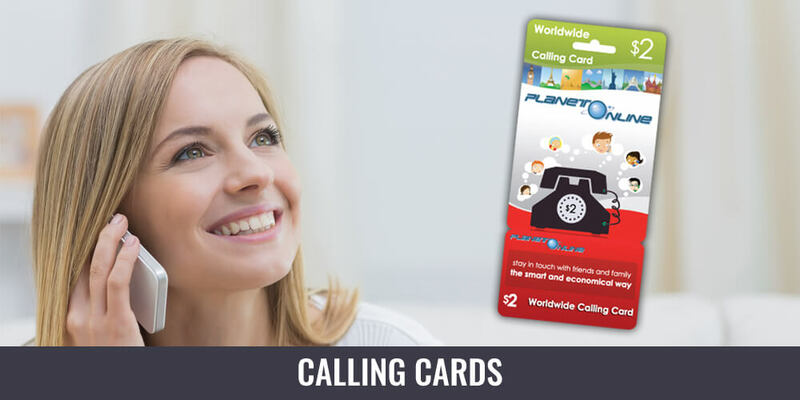 We take great pride in offering more customization options than any other scratch off printer, including but not limited to the size, shape and color of the cards and scratch panels. 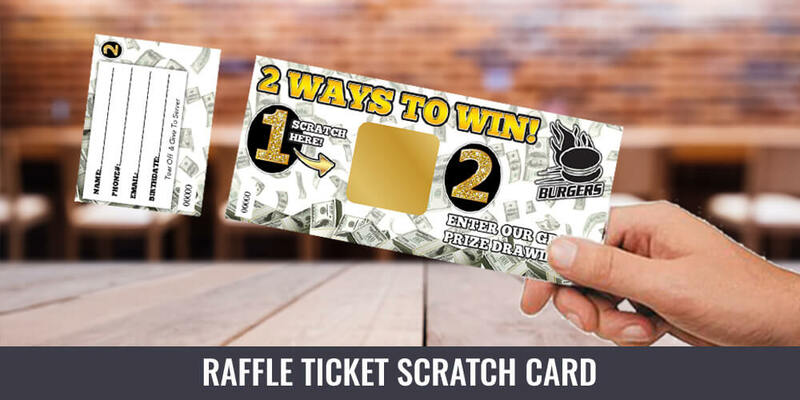 Maximize customer engagement with your next promotion or marketing campaign by using a scratch & win. Now offering two ways to win! 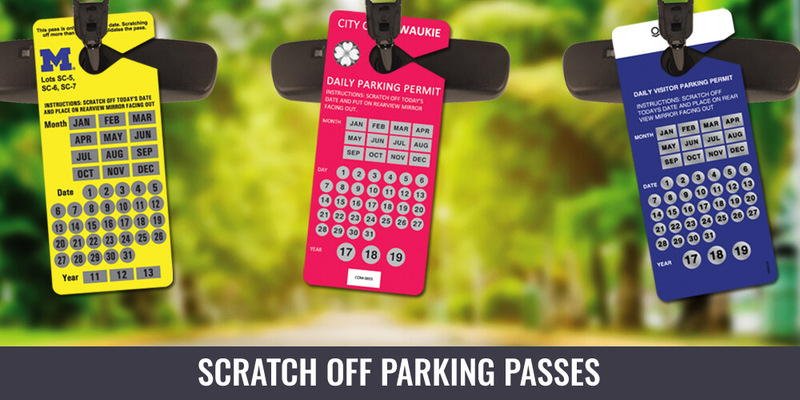 Grand prize drawing with an instant gratification scratch off. Capture additional contact information for future direct marketing campaigns. 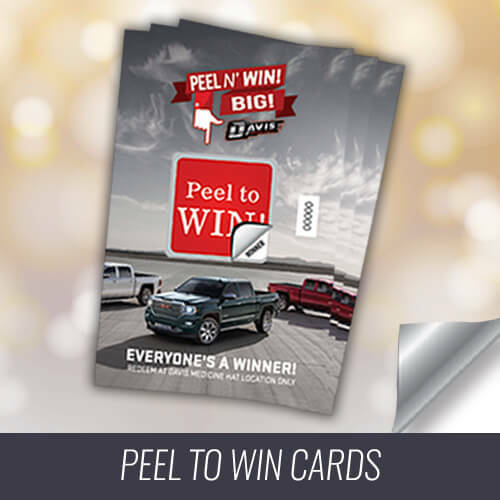 Peel-to-Win provides similar gameplay and customization options as a scratch & win promotion. 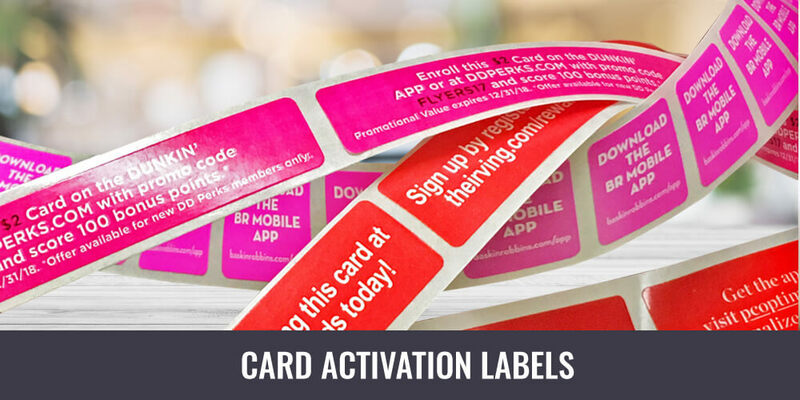 We manufacture a variety of scratch off labels designed specifically for paper and plastic cards with mass production plants in mind. 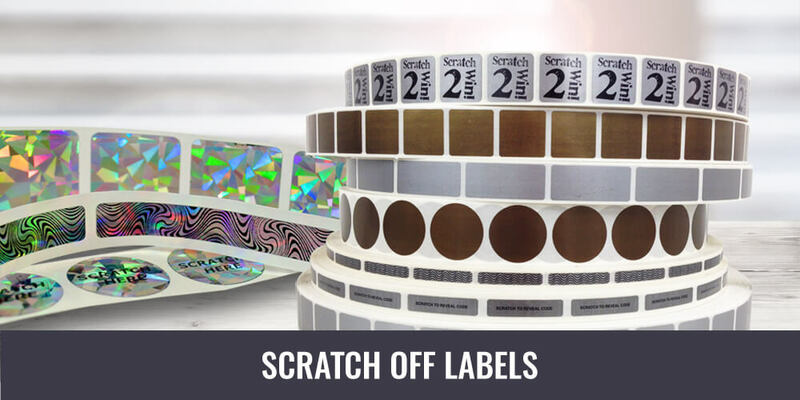 We use the highest testing standards in the industry for precision die-cutting, adhesives, liner strength and our exclusive scratch off ink technology. 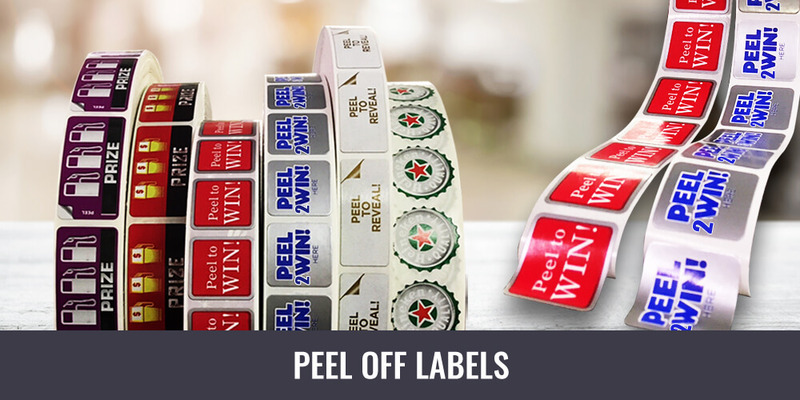 Our labels are engineered to run consistently in the most demanding environments. Each roll comes with an industry standard 3’’ core and can be customized to work on almost any machine. 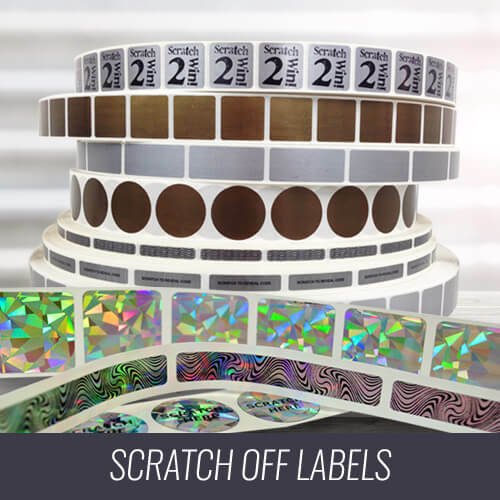 We offer a variety standard sizes to choose from or we can custom manufacture your scratch off label. 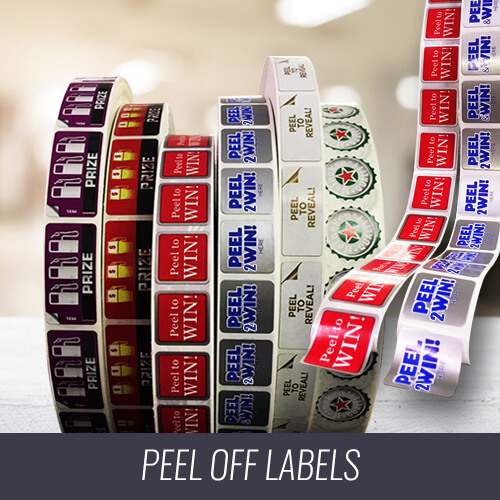 We offer a variety standard sizes to choose from or we can custom manufacture your peel off label. 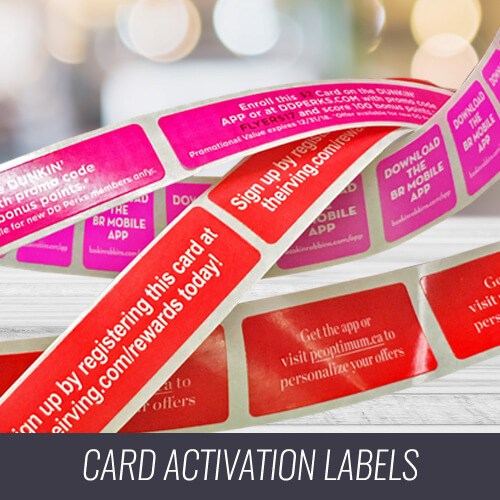 We print custom card activation labels. 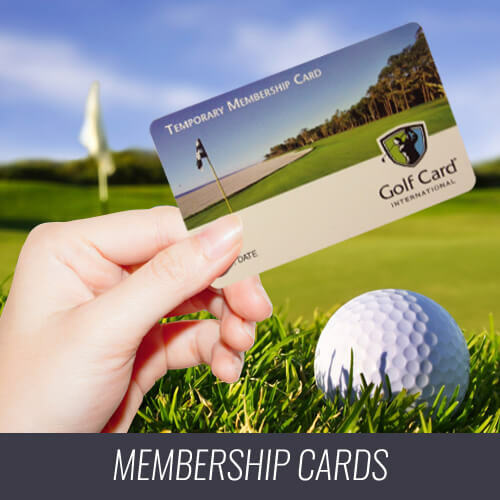 Perfect for credit cards, membership cards and more. 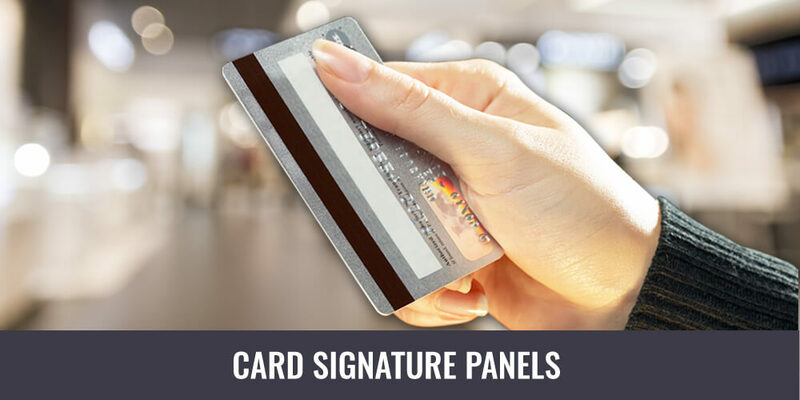 We print custom card signature panels. 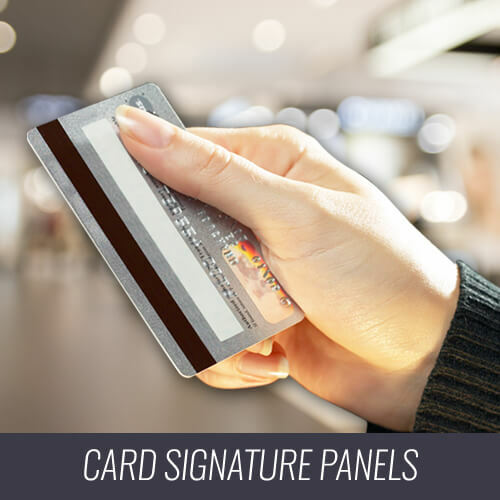 Perfect for credit cards, membership cards and more. 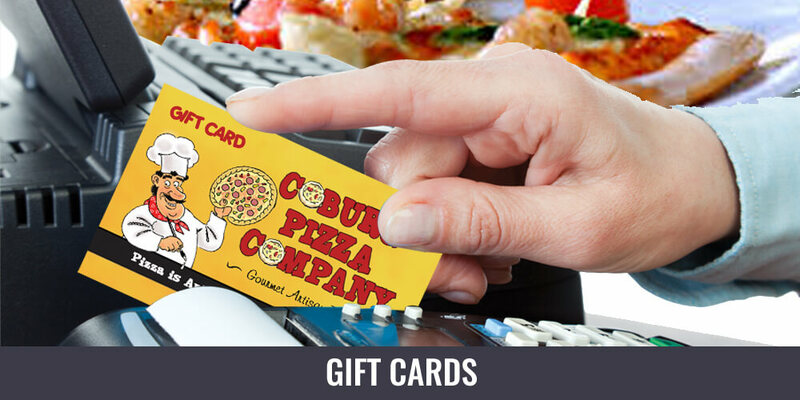 Grow your business with custom printed gift cards. Boost redemption by including a unique scratch off promotion. 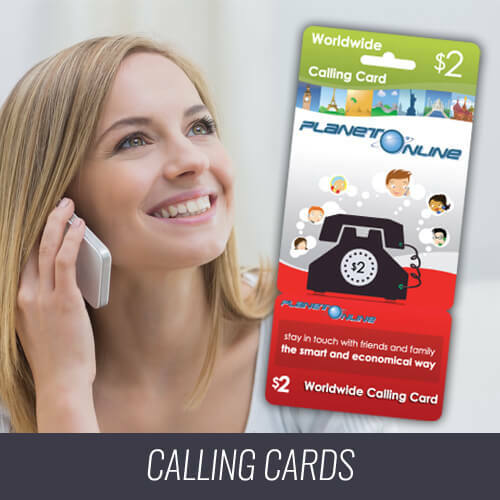 Grow your business with custom printed calling cards. 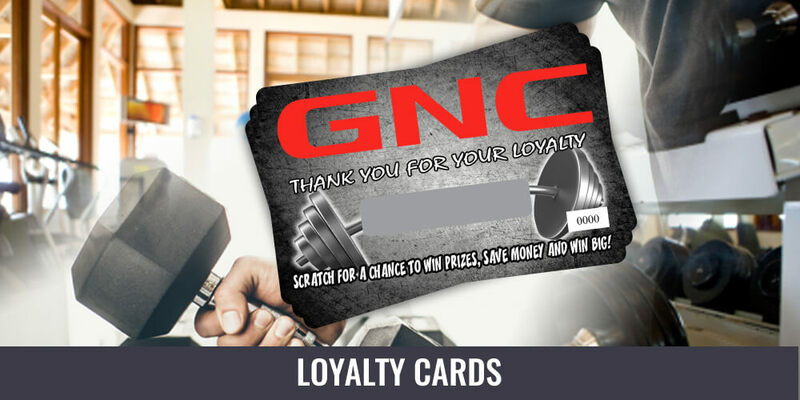 Boost redemption by including a scratch off promotion. 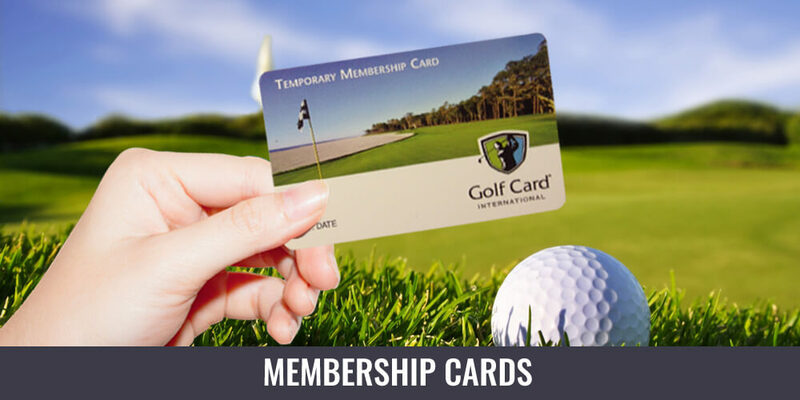 Grow your business with custom printed membership cards. 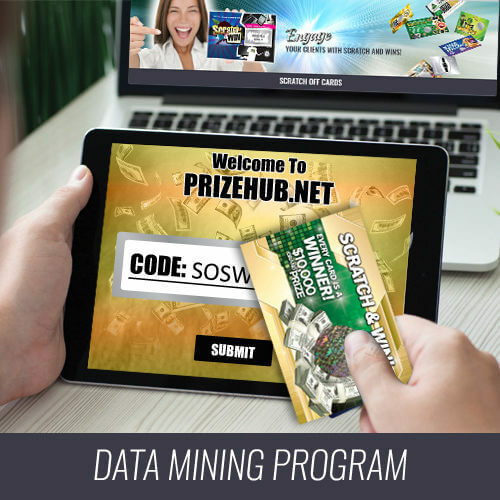 Boost engagement by including a scratch off promotion. 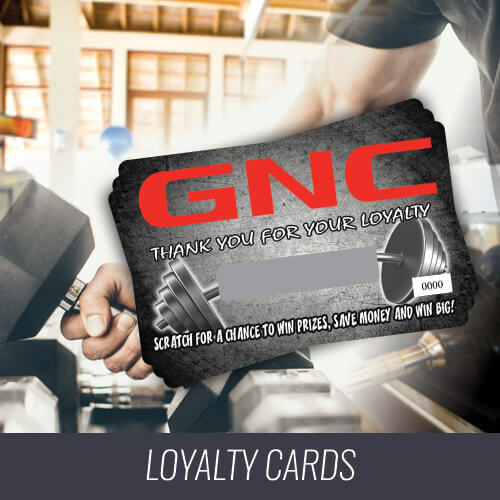 Grow your business with custom printed loyalty cards. 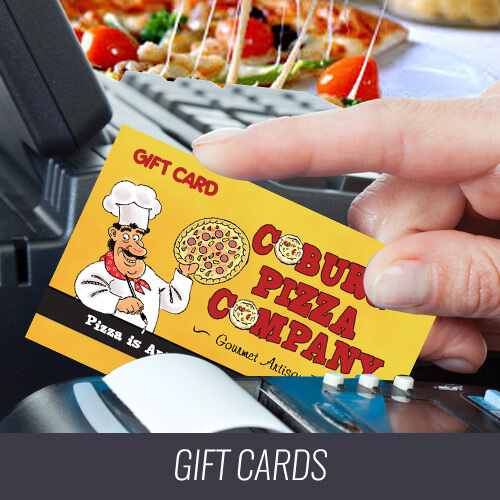 Boost engagement by including a scratch off promotion.